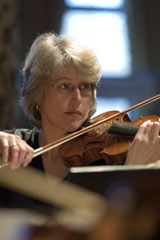 These instrumental combinations are recommended for chamber music concerts & wedding ceremonies - and generally fulfill the needs for most casual engagements quite well. Primarily Pops: Larger Groupings including strings, winds, piano, bass and drums can be arranged. Note: In situations where an accoustic piano is not available, a digital piano can be provided upon request for a nominal additional charge. 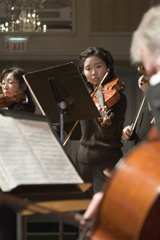 Our large string ensemble is available for performances in concert halls and theaters. 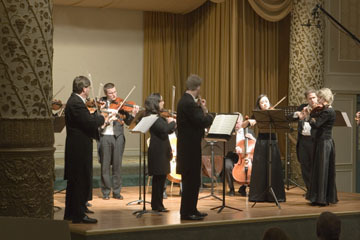 The actual number of musicians will vary with the repertoire and performance space. Churches and choral organizations may also hire the ensemble to perform along side their choirs. 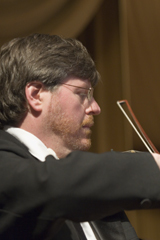 Solo concert performers are available with or without accompanying ensembles or pianists. Unaccompanied performers may be requested for special religious services or weddings, where short solo works are being requested, or where either an accompanist or an accompanying ensemble is being provided.